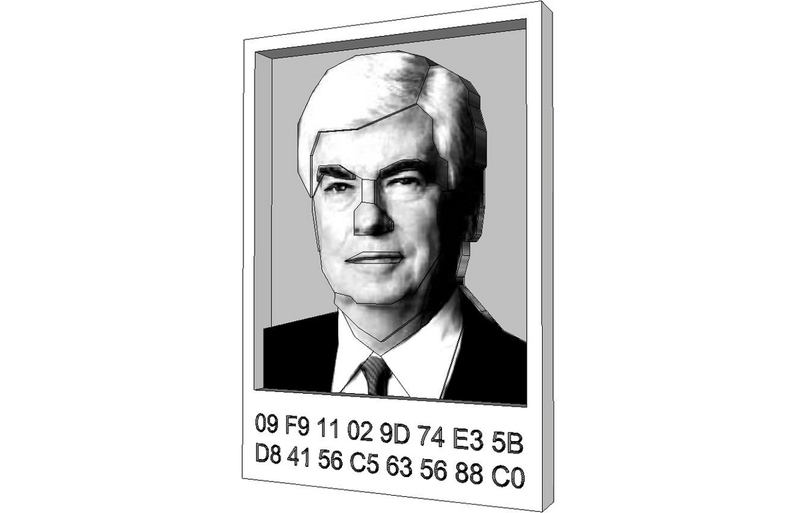 A crude little portrait of a crude little man — MPAA Chairman and CEO Chris Dodd, emblazoned with the 09F9 AACS encryption key. I created this object and published a torrent of it on The Pirate Bay as soon as those crazy bastards announced their “physibles” category on January 23, 2012. The torrent is here. Print it, and behold the visage of yesteryear. This entry was posted in 3D Printing, Commentary. Bookmark the permalink.